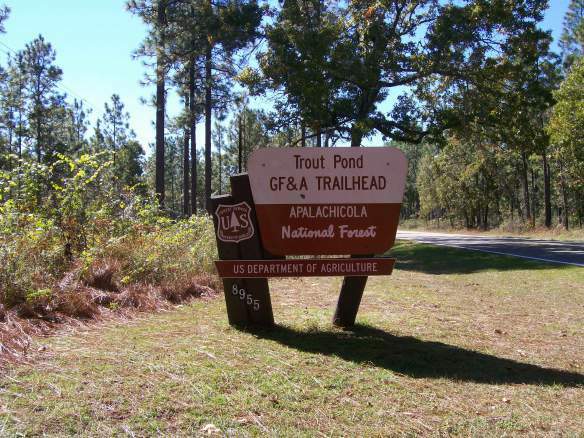 Located near the former GF&A Railroad, Trout Pond is an accessible destination in the Apalachicola National Forest for hikers, bicyclists, fishermen, and equestrians. 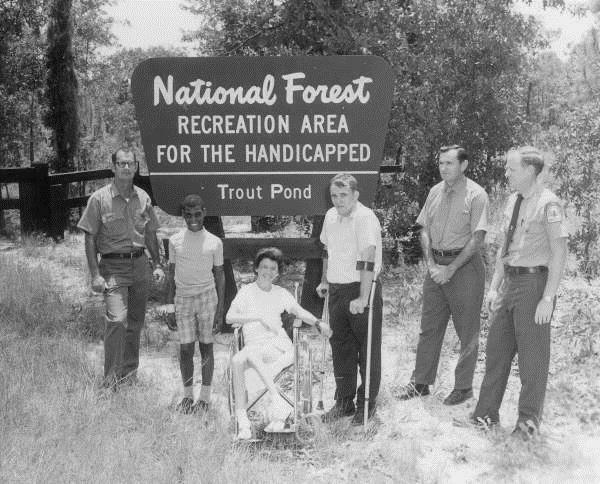 While all people are welcome to visit Trout Pond, the recreational area was established in 1970 specifically for the differently abled. 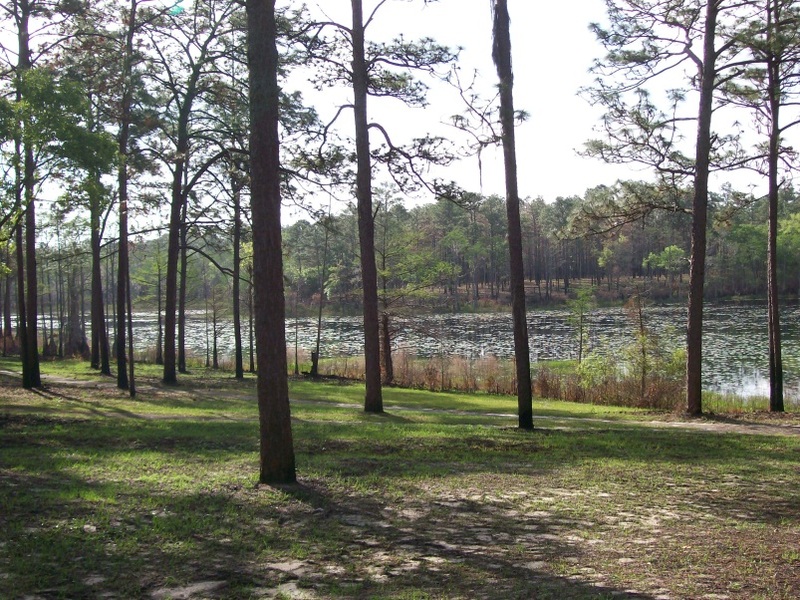 This recreation area was one of the first of its kind. 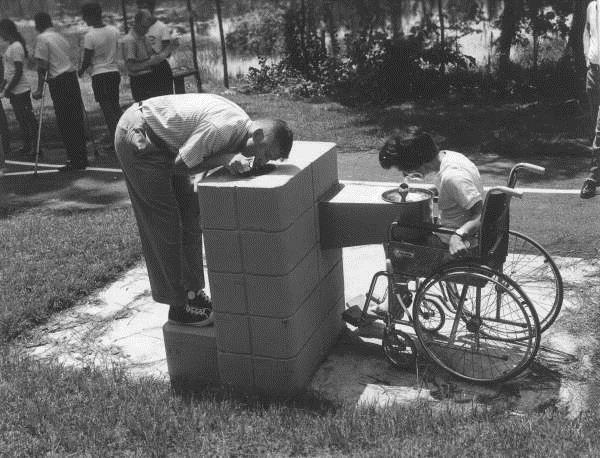 Leading up to the opening of Trout Pond, local social workers and the differently abled community of Tallahassee hoped for additional recreational activities within the surrounding area. 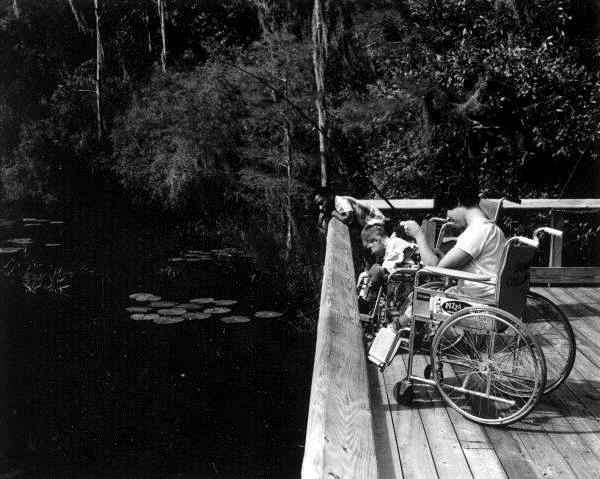 Trout Pond was envisioned as a recreation area with amenities designed specifically for people with disabilities, including evenly paved surfaces and accessible restrooms, drinking fountains, picnic tables, and fishing pier. 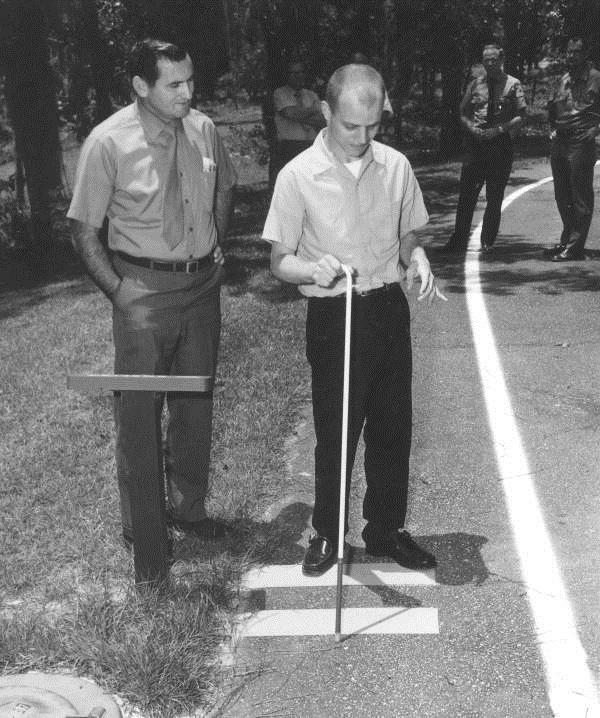 Engraved directional signs and bump plates were also incorporated to improve self-sufficiency when navigating the paths. 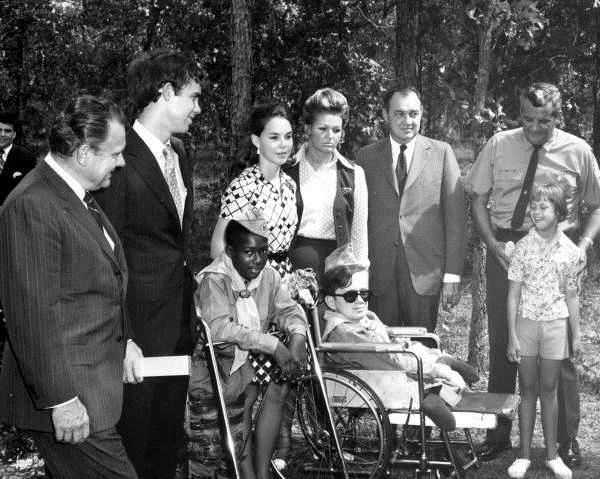 In September of 1970, Trout Pond was officially dedicated by Governor Kirk as a park for the differently abled community in the Tallahassee area. 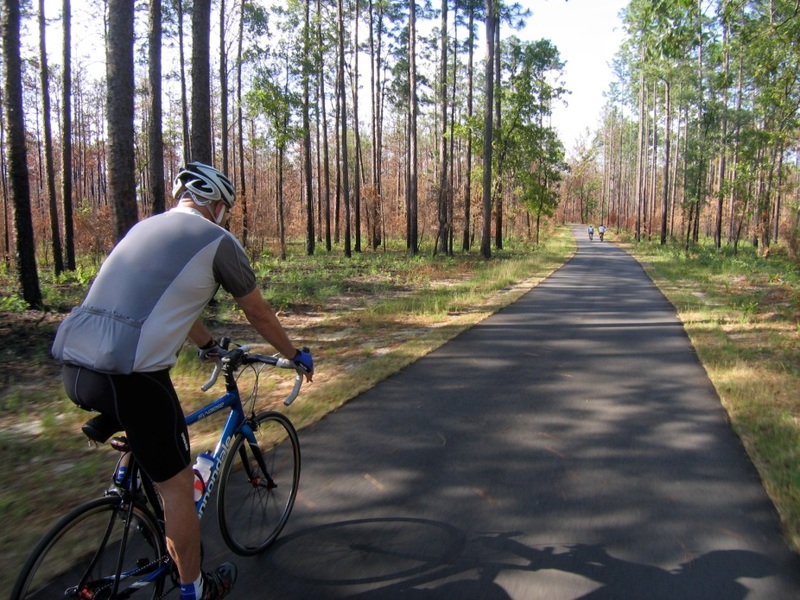 In 2008, construction began on a 2.4 mile shared use path to connect the recreation area, amenities, and scenic locations in the area. The grand opening of this GF&A Trail at Trout Pond was in 2009. The GF&A Trail at Trout Pond and the Trout Pond Recreation Area are intrinsic resources on the Big Bend Scenic Byway, a state and nationally designated scenic highway. 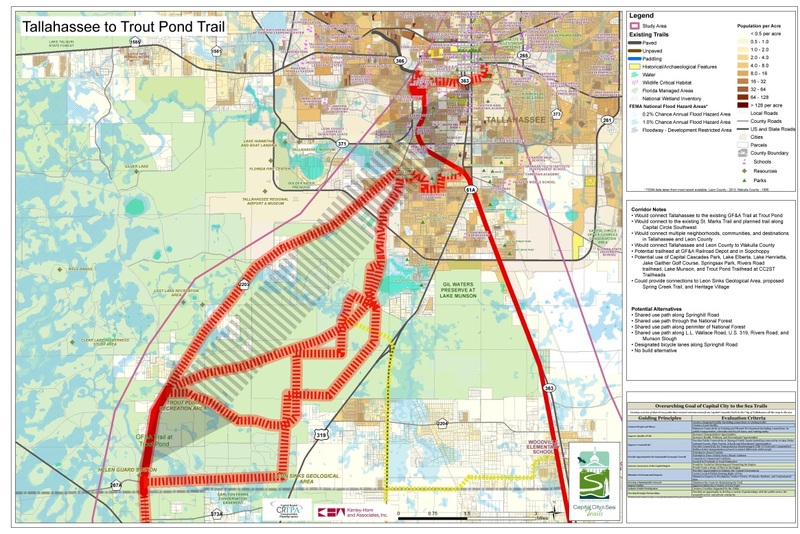 In order to expand access and usability of the GF&A Trail at Trout Pond and the Trout Pond Recreation Area, the Tallahassee to Trout Pond Trail segment was identified through public participation as a potential Capital City to the Sea Trails segment. 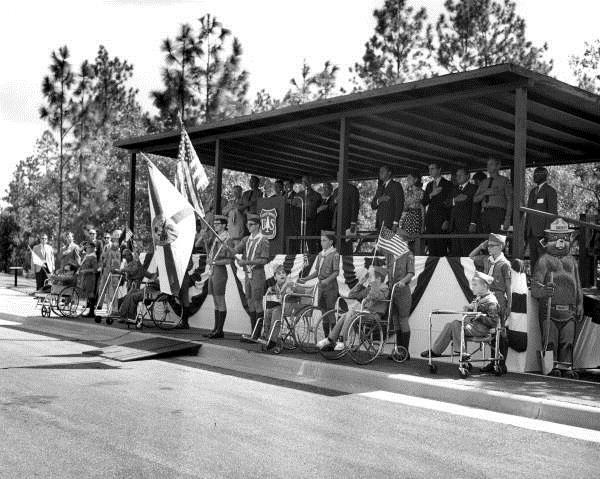 Consistent with the Tallahassee-Leon County Greenways Master Plan, this segment would connect the City of Tallahassee to the existing trail. Based on public input and the evaluation criteria, this important trail connection was ranked as the #2 priority for the Capital City to the Sea Trails project. As the Capital City to the Sea Trails project moves forward, all facilities will be developed according to current applicable standards and will incorporate best management practices and guidelines to promote equality for people with disabilities through accessible design and development.